M.S. 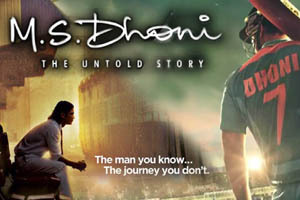 Dhoni: The Untold Story is a 20160 Bollywood biographical film directed by Neeraj Pandey and produced by Arun Pandey. The film is based on the life of Indian cricketer, Mahendra Singh Dhoni. The film features Sushant Singh Rajput as Dhoni and Disha Patani, Kiara Advani, and Anupam Kher in supporting roles. The film will be dubbed and simultaneously released in Tamil, Telugu, and Marathi languages. Amaal Mallik and Rochak Kohli has composed music for the film, while lyrics are penned by Manoj Muntashir. Here is the link of all the songs lyrics and videos of M.S. Dhoni - The Untold Story.